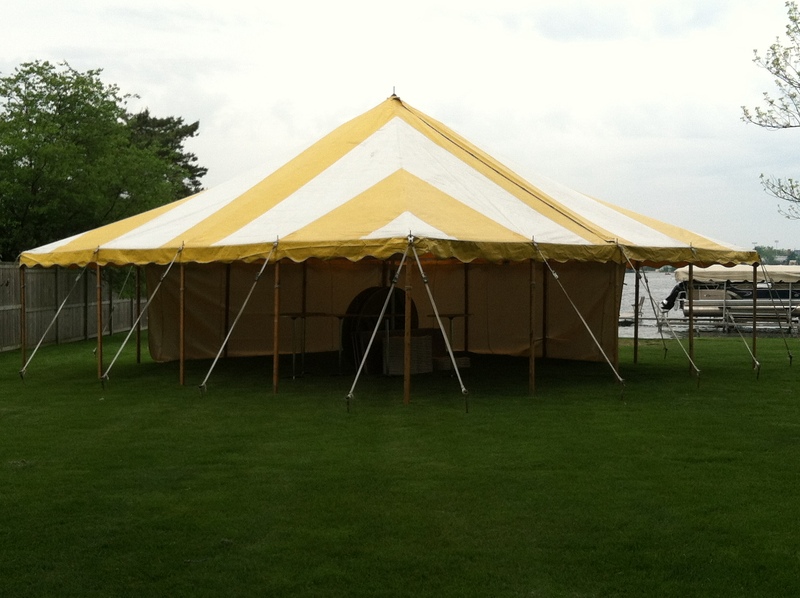 These tents are tension tents with peaks reaching from 12 feet up to 16 feet in the center poles. They are anchored using steel stakes and ropes. 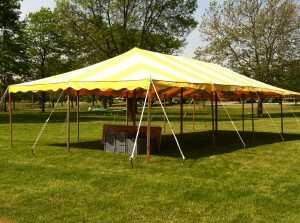 These tents can be set up on grass or asphalt. If they are set up on asphalt there is an additional charge for us to drill into the asphalt then fill in the holes when we are done so it is not visible that any holes were drilled. 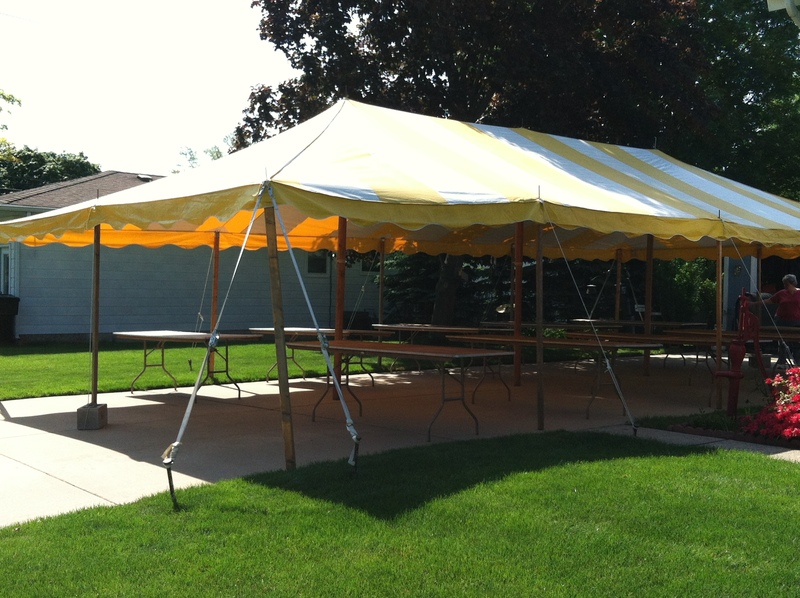 Please contact us with specific questions about the set up. 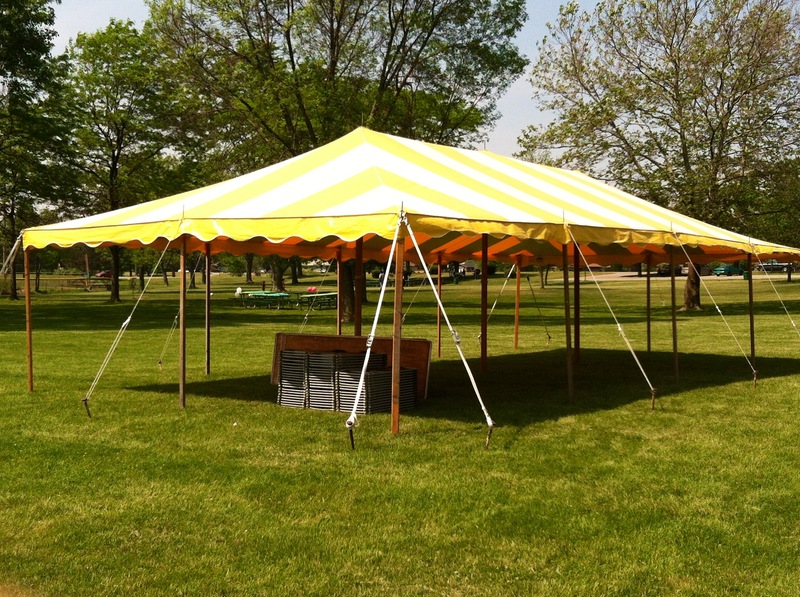 This is a 20×40 striped tension tent it is 800 sq feet and can hold 10 banquet tables and 80 chairs or 8 round tables and 64 chairs. This is a 20×20 striped tension tent. 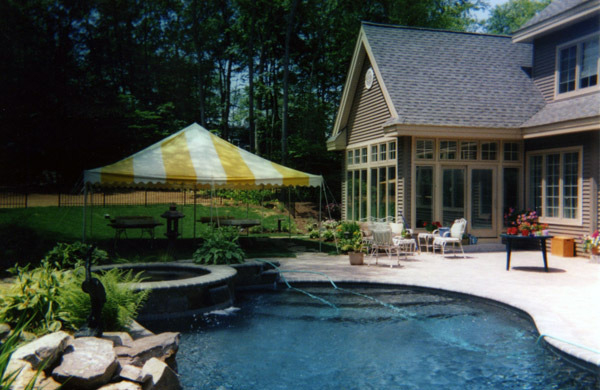 This is another 20×40 striped tension tent over a driveway. 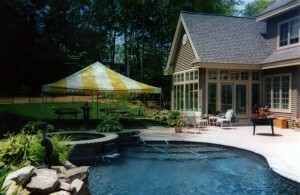 This is a 30×30 striped tension tent. This tent is 900 sq feet and can seat 12 banquet tables and 96 chairs or 10 round tables and 80 chairs.